Yiddish is an Eastern European language with few native speakers, yet substantial parts of the dialect survive. Yiddish words have evolved into common English usage, and if you've ever watched an episode of Seinfeld, chances are you've heard at least a couple Yiddish words being spoken. There's a reason Yiddish words survive today - sometimes the English is just so bland in comparison. 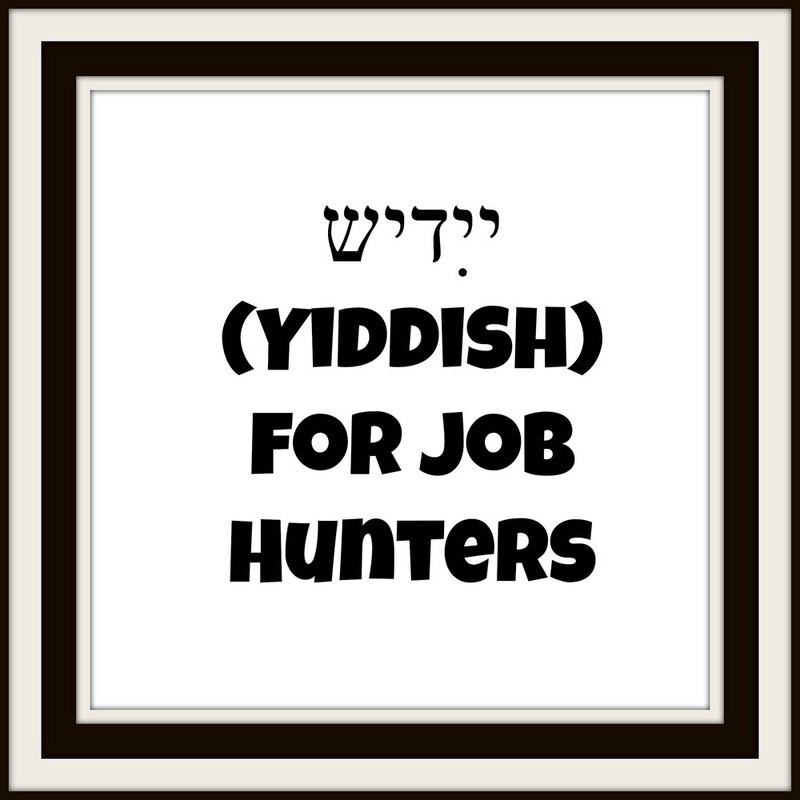 Here are some Yiddish 101 words and phrases to help you spice up your job search! Sample Usage: "I met with that maven in the marketing department. Very impressive what they have planned at that company!" Sample Usage: "So, as I describe to you my accomplishments in my current job, I know you can understand how I kvell over the great results I achieved!" Sample Usage: "That Human Resources Manager I met with was such a mensch! While I was waiting, he brought me a bottle of water, showed me around the office, and introduced me around. It was great!" English Meaning: Oh woe is me! Sample Usage: "Oy vey, the hiring manager kept me waiting for an hour! Can you believe it?" Sample Usage: "I must have done well on the first interviews. They invited me back for another round of interviews to meet with all the makhers! Hopefully I can get an offer." Sample Usage: "You would not believe the meshuge salary they offered me! It was insanely low for the work they were asking me to do. Oy vey!" English Meaning: To complain incessantly. Sample Usage: "I'm pretty sure I screwed up the interview when I started kvetching about my current job. They showed me the door pretty quickly." Sample Usage: "They sat me in an interview room, and had me do a panel interview for two hours. I was schvitzing from all the stress." For some further reading on Yiddish, check out this great article on Slate about the rise of Yiddish online.